Girl About Town: Coffee Kabin is the place to be regardless the time of year guys! Well it’s truly July the summer sunshine shone at Glastonbury for a change. Yet the summer warobe has come out making the heat which has come to Britain ever so cooling as possible. To be honest I am more of an autumn, winter girl not a summer girl although I do my best to add effort with dressers. Simple, yet effective and good quality coffee shops make the summer socializing and coffee stops more interesting and easier. My other half has quite a strong and cool interest in the art of coffee making and drinking coffee which opened up the opportunity whilst in town to introduce me to the CoffeeKabin. Its an independent, locally owned coffee shop that’s “ simple, has a cool relaxing edge too it, good quality coffee to add and a menu which can keep your taste buds at bay with that tasty yet simple touch as menu should do”. As a coffee shop it is the perfect place to socialise, work or leisurely enjoy a good cup of coffee and plate of food. I find in independent coffee shops that one: its all about the coffee and two: the décor and interior is kept simple, cool, and chic. None of this loud noise of marketing nonsense’s you find in commercial coffee shops. 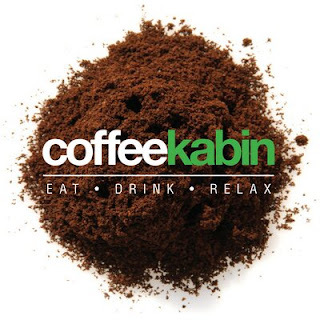 CoffeeKabin’s coffee and food is all created on site whilst being supplied by the local companies around town overall makes the company covered in which an independent coffee shop should be. The detail is extended not only by the techniques of making the your cup of coffee which includes carefully picked beans, roasted and brewed where appropriate throughout the process which is either finished by the single origin filter or 2 different espressos. The drinks menu hits all the right points for refreshment whilst, the finished product of the detail on top of coffee right down to the cup and saucer is delivered on a classic wooden tray. Where overall metaphorically care has been taken into making the cup of coffee. This care isn’t only taken into the coffee but the food too from breakfast, comfort foods, to light bites allows filling you up throughout the day to be covered. (We didn’t order any food just the coffee this morning). Yet all the produce is freshly made on site and is sourced locally adding that extra touch to your refreshment. Overall from our coffee shop stop I would happily recommend it! Well least I know where to go for a hide out with my laptop during uni this September, my other half, family and friends whilst I’m out and about in town. It was a great morning cup of coffee though.